Summer is almost here! It's no secret that I love side hustling. 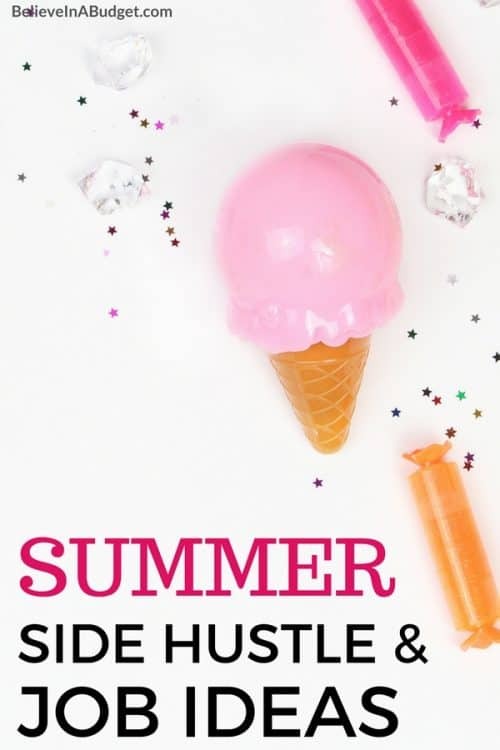 While I'm all about soaking up some sun during this time of year, I also know that it's a great time to make extra money with summer side hustles. People spend more money in the summer and some industries experience peak sales around this time of year. This allows you to offer new services for seasonal or year-round work. 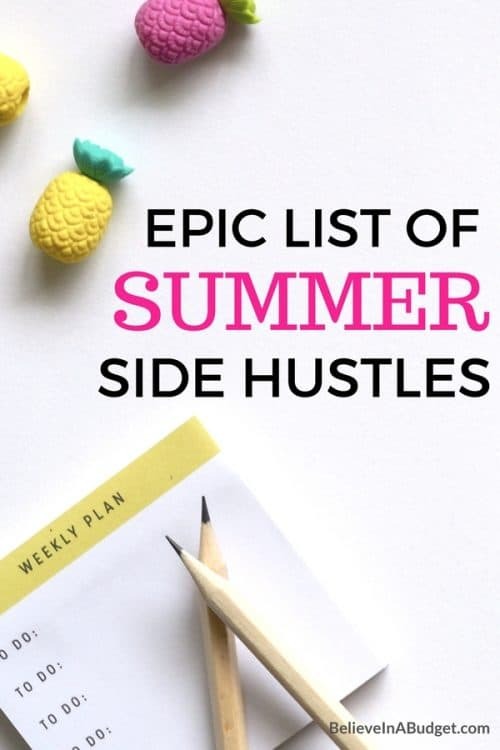 Here is an epic list of summer side hustles you can try! Mowing lawns is a side hustle almost anyone can take on and it's in high demand during the summer months. You can start your own lawn mowing business by advertising in your neighborhood and purchase some basic start-up materials. Target people who are unable to get out and mow their lawns often or people who just don't have time to do it. Come up with a basic price point and you can alter is based on the size of the lawn. You can even offer additional services like trimming and gutter cleaning to upsell your services. If you're planning on laying out at the pool all summer long, you may want to consider making money as a lifeguard. If you can swim well and know CPR, this could be a perfect fit and a pretty easy way to make money. Now is the time to start seeking out applications with local pools and park districts. Summer is probably the biggest travel season since kids are out of school and people are eager to take trips. You can cash in as a house sitter if you don't have any major plans. House sitters don't have to technically live in the home while the owners are gone, but you may be asked to do light tasks like collect mail, water plants, or feed and walk animals. To find clients, you can sign up with sites like HouseSitter.com, HouseSittersAmerica.com, and MindMyHouse.com. Driving for Uber is such an easy side hustle! You just need to be at least 21-years-old and have a vehicle that meets Uber's age requirements (varies by city) along with a valid driver's license and insurance. Uber drivers pay varies per area. However, if you're not too crazy about the idea of driving random people around, consider Uber Eats. With Uber Eats, you can make money delivering food orders from restaurants in your area. Learn more about Uber Eats and get started here! With kids out of school, the demand for babysitters is sure to increase. Parents may be seeking part or full-time care for their kids to avoid paying for expensive daycare or summer camps. As a babysitter, you can earn anywhere from $10 – $20 per hour which adds up. When setting your rates, you want to consider the area you live in along with how long each babysitting job will be. You may even want to offer a full-day, half-day, or weekend rate for repeat clients. Walking dogs is one of my favorite summer side hustles. It's a great way to earn money while being active and getting to hang out with some furry friends. Aside from referrals from friends and family, my absolute favorite site to use to land dog walking gigs is Rover. If you're a student or just excel in certain academic subjects, you may enjoy doing some tutoring over the summer. You can help kids practice reading and spelling, or even help other students brush up on math over the summer or write college application letters. Check out sites like Tutor.com and Chegg to get started. Ebates is my favorite company to use when I’m shopping online. Hello, they basically give you free money in the form of cash back! I’ve made over $900 from shopping online and earning cash back. Join Ebates here! Have extra space in your home? Rent it out with Airbnb. Over the years, I have stayed at a handful of AirBnB's and saved a ton of money. I've been able to rent an entire house, condo and apartment instead of a room at a hotel. If you have a spare bedroom or will be traveling over the summer, consider renting out your place on the website for some extra cash. Here's how you can become an AirBnB host. Shipt is an Internet-based grocery delivery service. You can try it for two weeks for free as a customer, or you can apply to be a shopper and get paid to pick up groceries for other people. You must be 18 or older and have a reliable vehicle (year 1997 or older). Shipt shoppers can make up to $22 per hour. Sign up to be a shopper for Shipt here. With Amazon Flex you can get paid to deliver people's Amazon packages. You'll set your own schedule and work when it's convenient for you. Amazon Flex delivery partners can earn $18 – $25 per hour. Learn more about Amazon Flex here. TAKL is a service-based app where you can sign up and perform services for people in your area. You can complete tasks like cleaning, packing, moving, hauling away debris, lawn car, vehicle washing, and more. Enter code 03F89 and test out the app – you'll receive a FREE $50 credit. Taking surveys online for cash used to be the best-kept secret but now it's widely talked about and for good reason. I have made thousands of dollars over the past few years from taking surveys online! That being said, all survey sites are not created equally. There are a few companies that I love to use and earn cash back into my PayPal account, as well as reward points that I can use at places like Target, Walmart and Macy's. Freelancing is another popular side hustle you can get started with if you haven't already. 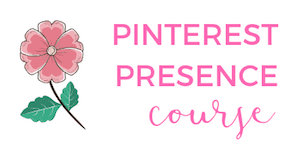 When I started this blog, I quickly got into freelancing by offering my Pinterest management services to other bloggers and businesses. You can find clients to hire you for freelance work as well whether it involves writing, creating graphics, editing, or digital marketing. Use sites like Upwork and Fiverr to find gigs or ask your network for referrals. Help people find jobs by writing their resumes. Did you know that you can actually get certified to do this? If you have writing skills and are interested in career trends, this could be a great side hustle. You can make $150 – $200+ per resume. If you need help polishing your writing skills and landing clients, this course and group will help you land clients. Ever thought about working on a cruise ship? If you're looking to travel for free this summer, you should give it a shot! There are plenty of jobs to choose from on the ship, such as a server, bartender, masseuse, cashier, chef, and much more. You'll get free food, room and board, and other perks while you work on the ship. Some cruise lines will even allow you to bring a family member to sail onboard for a limited time. Here's more information if you're looking to work for Princess Cruises or Carnival Cruises. Purge all your stuff this summer and have a big sale both online and offline. You can sell some of your stuff online on sites like eBay or Amazon. If you aren't sure how to even get started on how to sell and ship things on eBay, this tutorial will walk you through everything you need to know. This is one of the classic summer side hustles and still lucrative. For the bigger items, you can host a big garage sale. Also, consider flipping thrift store items to make money selling used stuff long-term. 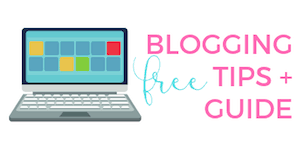 Summer is usually a slower traffic season for blogging, but this could give you the perfect opportunity to get your ideas off the ground and start working on some content. Blogging is definitely a passion project. It requires lots of time and planning but your blog can be profitable if you remain persistent. Mystery shopping is a really fun side hustle I've tried in the past. You basically get paid to shop in your neighborhood. You go to certain retailers or businesses and make a purchase and interact with an employee. You generally get reimbursed if you have to make a purchase and you'll get paid for completing your shopping trip as well. Learn more about how to make money mystery shopping here. During the summer, the events industry is booming. Everyone is having parties and events to celebrate birthdays, weddings, baby showers, graduations, etc. Planning events requires a ton of work and organization. Hosts often exhaust themselves trying and rarely have time or energy to enjoy their own event when they're the ones planning it. If this is something you excel at, you could make good money to plan and execute summer events. Event planners make around $20 per hour but you could charge more if you provide an exceptional service and put the party host at ease. A home or office cleaning business doesn't require much when it comes to start-up costs. You just need to let your work speak for itself. Some people may be off traveling this season or may just be too busy to clean their homes. If you have evenings and weekends available, that would be a great time to clean some small offices. Sometimes good help is hard to find, especially when you're moving. I've had people flake on me before when I was moving from one place to another and it can cause a lot of stress. Consider becoming a dedicated mover this summer if you are able to lift boxes and larger items. You can search for gigs on Craigslist, in Facebook groups, or create a profile and list your rates on MoversCorp to advertise your local moving services. Some companies require you to drive a certain number of miles per week so if you have a little commute to work each day, that would be ideal. One company called Carvertise is a legit, trusted company to pay you for your services. Car detailing is an often overlooked side hustle with tons of potential. Think about it, how many people drive around with cars with interiors that could use a little TLC? Maybe they are looking to clean up their car before selling it, or maybe they just don't have time to clean it regularly. Even if you have no experience, you can learn how to detail cars by watching YouTube videos and just by some of the main materials and cleaning products you'll need. Have old electronics lying around? Whether they work or not, you can sell them online for extra cash. Decluttr is my favorite site for doing this. You basically send them information about your item and they send you a quote and a shipping label if you want to sell them your item. Once you mail your item, they pay you cash. Learn more about Decluttr here. If you're just looking for seasonal work, being a theme park guide can be a fun and active opportunity. Just start compiling a list of all the parks near you and start grabbing applications. Some theme parks near you may even be open and hiring year-round. Have a passion for fitness? You can help people who are either trying to get or maintain their summer bodies. You can become a Certified Personal Trainer if you want to work in a gym, or you can just workout with people on the side and provide motivation. If you are in good shape yourself, it's easy to sell your services to clients. Another way to stay fit and make money this summer is to become a group fitness instructor at your local gym. You will probably need to get certified and take a few classes, but you'll be able to teach yoga and pilates classes for free and get paid. This is another fun and active side hustle. There will be tons of sports teams competing this summer in the area whether it's a traveling basketball team of a 5th-grade soccer team. Knowing the particular rules of a sport already can help, but you may also need to take a class. If you have a truck, you can pick up scrap metal in the area and sell it for cash. Selling your scrap metal helps the environment because the materials get recycled for use again. Becoming a vendor at your local farmer's market allows you to sell within your community at an event that's already widely marketed. This works great if you are selling something perishable, a craft you have made, etc. This is a great way to make extra income, test your products and get feedback. Don't do a lot of driving that much? I work from home so using my car is not always a necessity. Turo is a cool service that lets you rent out your car. Listing your car on Turo is pretty easy. You’ll sign up for an account, and create a free listing by describing your car and uploading some good photos. Turo will develop a listing price based on your car’s market value, location, the current time of the year and other related data. You’ll get notified when someone requests to use your car and you can choose whether you’d like to confirm their request or not. Learn more about Turo here. There you have it! Plenty of side hustles to keep you busy and making lots of extra money this summer. All that's left to do is choose something flexible that interests you and get started! 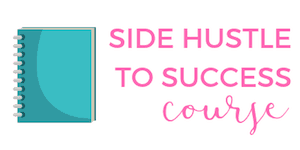 Have you tried any of the summer side hustles on this list? Very comprehensive list! I have tried a few of these side hustles. I used to think that mystery shopping was a scam (and I’m sure there are shady companies out there) but I did a ton of research and found some legit companies. I tried it a few months ago and love it! It’s a great casual hustle. Agreed!! Some mystery shopping companies probably are scammy, but I have never had an issue with any of them. I’ve always been paid out and it’s always been professional, as it should be!